An important scientific innovation rarely makes its way rapidly winning over and converting its opponents; it rarely happens that Saul becomes Paul. What does happen is that its opponents gradually die out and that the growing generation is familiarised with the idea from the beginning. There is an old English adage that ‘the more things change, the more they stay the same’. This phrase encapsulates rather nicely, the concept of paradigm shift, and the difficulty sometimes experienced in making the transition from the ‘old way of thinking’ to the ‘new way of thinking’. In this unit, we reflect on this concept in the context of sustainable development. We look at some of the obstacles in the path of sustainable development, and the kind of fundamental changes that are required if sustainable development is to be truly embraced as a viable alternative to free market economics as it currently exists within the neo-classical paradigm. The main aim of this unit is to become familiar with the theory of scientific revolution as articulated by Thomas Kuhn (1962). In so doing, we will employ the concepts developed by Kuhn to assist in the analysis of the current national and international political economy in terms of its readiness (or otherwise) to embrace sustainable development and reject free market economics as it is currently practiced. Evaluate, critically, the changes necessary if sustainable development is to become thoroughly integrated with mainstream thinking. In 1962, Thomas Kuhn published a book entitled The Structure of Scientific Revolutions, which was an attempt to explain how changes and revolutions occur in the physical sciences. Kuhn, a specialist in the history and philosophy of science, did not intend that his ideas be necessarily applicable to the social sciences, but his work has had a great impact, and many commentators see it as an explanation of how changes have occurred in the past, and of the forces currently working either to promote further change or, indeed, to prevent change. Kuhn describes a scientific community as a group of scientists having a similar education and being acquainted with the same scientific literature. There is usually a professional journal and a professional society to which they belong, and they attend special conferences devoted to their particular branch of science. There are also informal communication networks between the members; they circulate drafts and proofs of their articles to one another, they correspond on matters of professional interest, and they frequently cite one another in a complex network of citation linkages. Kuhn defines the scientific community as ‘the producers and validators of scientific knowledge’ (Kuhn 1962, p. 178). Thus, the scientific community becomes the judge of the research of its members, and the members accept the ideas and the solutions currently adopted by the community. The paradigm is Kuhn’s central concept, and it is integral to concept of the scientific community. It is defined as a ‘disciplinary matrix’; that is, a set of ideas, models, values and attitudes accepted by members of the scientific community. According to Kuhn, a paradigm exercises a number of important functions, some of which can be seen as advantageous to the progress of the discipline, and some disadvantageous. The main advantage of the paradigm is that its acceptance by the members of the scientific community means that they can devote their energies to further developments of the paradigm, and protect themselves against time-wasting distractions. In other words, they do not need to investigate the fundamentals of their science once these fundamentals have been expressed in the form of the paradigm, and have become a starting point for further research. The paradigm sets the research direction of that particular community, it becomes the criterion for the selection of topics to be researched. The paradigm also enables members to distinguish themselves from competing communities who adhere to different paradigms. According to Kuhn, the existence of a paradigm is a sign of maturity in the discipline. In pre-scientific times, or when a science is in an immature stage of development, there is an abundance of unrelated ideas and attitudes, but no consensus, no paradigm. Those who are in a position to influence the appointment of faculty in teaching and research institutions will tend to appoint people that share the same paradigm, excluding any known dissidents. As leaders of their own community, they will not support applications for research funds that lead to the promotion of competing paradigms, or tend to undermine their own paradigms. In short, the forces of the paradigm act as ‘unofficial censors’. The paradigm and its supporters tend to sanitise the science, and to insulate it from newly-emerging real world problems. They become a reactionary, conservative force, intolerant of new theories. In many cases, these new and important problems are ‘defined away’; that is, the issues are declared to be outside the realm of interest of the scientific community. Normal science is the term Kuhn uses to describe the day-to-day activity of a scientific community. The members are involved in the articulation of an existing paradigm and in applying the existing paradigm to a variety of problems. They are not concerned with questioning the paradigm or inventing new paradigms. Kuhn argues that in pursuing normal science, the scientists are concerned with puzzle-solving. A puzzle in this context is a category of problems that test the ingenuity and skill of the scientists, but they are problems that can be solved with the application of the current paradigm. Note: Recall that Guiseppe Munda (1997) referred to post-normal science in Reading 1.2. This may have greater meaning for you now. If the paradigm continues to solve the puzzles, and if there are no serious problems that cannot be explained by the paradigm, then there is no impetus for change. But if the scientists come to realise that some important aspects of reality cannot be solved by the paradigm, then Kuhn says that the science has entered into a phase of ‘anomaly and crisis’. This phase is characterised by a sense of malfunction, and by pronounced professional insecurity and tension. The first reaction of the scientists to this state of anomaly is not to abandon the paradigm, but to try harder to make it work. In the 1970 revision of his book, Kuhn acknowledges that while a state of crisis does not necessarily precede a revolution and it is not, therefore, an absolute prerequisite for scientific revolution, it is a usual occurrence. Scientific revolution, or paradigm shift, is the transition from one paradigm to another. Kuhn chose the term ‘revolution’ in order to make a deliberate comparison with political revolution. Unlike a political revolution, a scientific revolution does not normally involve bloodshed and violence, but both are the result of profound discontent. After the revolution, the new paradigm does not necessarily replace the old one completely, and some parts of the old paradigm are often absorbed into the new, but most parts of the old paradigm, which are incompatible with the new, have to be dropped. This causes intellectual and psychological difficulties for those who adhered strongly to the incompatible parts of the old paradigm. Some will be persuaded and converted to the new paradigm, but some will resist. After spending many years of study and research to develop their competence in the previous paradigm, and having achieved personal status and fortune through promoting the old paradigm in teaching and research, they will obviously be reluctant to admit that, to some extent, their efforts have been misdirected, and that their books, articles and lecture notes are now redundant. Over the years they will have defended their paradigm against attack from dissidents, by the exercise of scholarly virtues such as intellectual rigour and singleness of purpose, but now, these very virtues prevent their easy conversion to the new paradigm. Kuhn observes that in many instances, no conversion will be possible and the old paradigm will survive until its supporters die (see, also, the Max Planck quote at the beginning of this unit). This leads Kuhn to stress the importance of the contributions of young scientists, or of scientists who have recently joined the discipline, in creating or promoting new paradigms. Kuhn has some interesting remarks to make about the role of textbooks in scientific revolutions. He argues that it is only when a science is in an immature state, or when young scientists are being taught ‘the tools of the trade’, that textbooks are important. A feature of mature science is that most research is presented, not in textbooks, but in journal articles, and the education of advanced students proceeds along these lines. When a revolution occurs, the textbooks are rewritten and, according to Kuhn, they are rewritten in a way that suggests a linear progression has occurred. The new textbooks give very little attention to the old theories so that students coming to the study of the new paradigm receive the impression that the new paradigm has been always and everywhere accepted. The education of scientists in the new paradigm is thus ahistorical, with the new generation being unaware of earlier views, and suffering from the illusion that linear progress has occurred. Kuhn’s ideas on the function of paradigms seem to be very applicable to mainstream economics. One can see how in the theory of the firm in microeconomics, or in the IS-LM model in macroeconomics, the acceptance of certain paradigms has enabled and encouraged economists to indulge in abstract and esoteric articulations of paradigms without any real concern for their practical relevance. Also, one can clearly see how certain sections of the economics profession close ranks against new problems by defining them as beyond the realm of economics. The leading representatives of the discipline, and the leading journals that publish their articles, are often reluctant to extend the boundaries of economics into areas that border on politics, sociology, or environmental ethics. As a result, important economic issues such as those associated with gender, race, or environmental degradation are rarely taught in mainstream economics courses, being regarded as fringe areas and not truly ‘scientific’. Kuhn’s remarks on the censorship role of the current paradigm and its supporters are also seen to be relevant to economics. Articles or books that radically challenge the existing paradigm have great difficulty in getting past the referees appointed by publishers and journals, because these referees are invariably leading exponents of the existing paradigm. Likewise, applicants for jobs as economists in government departments or universities reduce their chances of success if they are seen to be partial towards any form of economic radicalism. Kuhn’s ideas in this respect reflect the famous comment made by Keynes on the last two pages of the General Theory (see below). 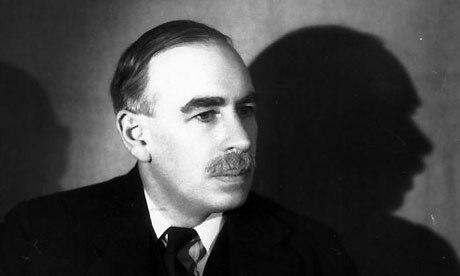 Keynes suggests economists in universities oblige students to study issues that appear to have little relevance to the real world, and economists who have gained positions of power in government departments devote their energies to persuading their government to implement policies that they studied in textbooks thirty years ago. A number of observations might be made at this juncture. First and foremost, significant change is unlikely in any society so long as the people in the seats of power (and their advisors) continue to be the products of the mainstream paradigm. A second observation is that, generally, human behaviour is such that it only responds to incentives, and so long as the incentive to embrace paradigm shift remains weak (or non-existent), the prospects of change are remote. A ‘command-and-control’ approach on the part of the state, for example, might provide a useful legislative framework for change, but as we noted in Reading 3.2, unless there are tangible benefits to be gained from operating within this framework, change is likely to be piece-meal. Rapid change is far more likely to occur if it is voluntary. Given the right incentive, the business community can lead the charge. Hawken (1993) has argued that business is the only institution within the national and international political economies powerful enough to foster the changes necessary for ecological and social sustainability. The profit motive has an important role to play (something largely absent within academe and state bureaucracies). For business to take up the challenge, sustainable behaviour must be a source of competitive advantage. The vital ingredient is education of business leaders. 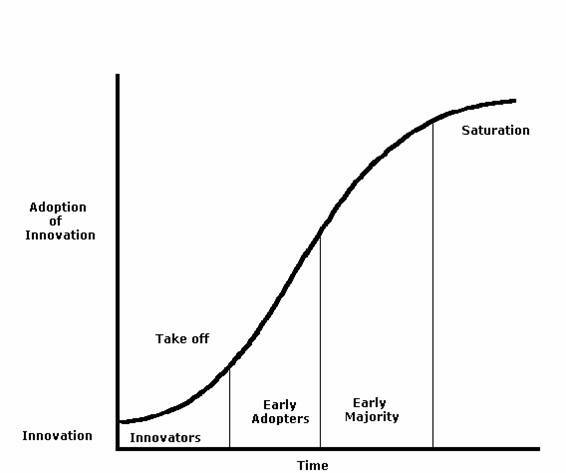 If it can be demonstrated that a business strategy based on sustainable development is capable of providing a competitive edge in the marketplace, then it is possible for positive feedback to prompt a logistic or ‘S-shaped’ pattern of adoption (see Figure 4.1), and for paradigm shift to be effected. Refer now to Reading 4.1 by Williams and McNeill (2005). This article, entitled ‘The Current Crisis in Neoclassical Economics and the Case for an Economic Analysis Based on Sustainable Development’, serves to reinforce and extend the discussion so far. What events have occurred in the world since the time this article was written that either support or detract from the arguments put forward in this article? Discuss your thinking with classmates. An array of tools and approaches have been developed that focus on various aspects of sustainability. These measures are slowly beginning to make in-roads at the boardroom level. The TNS Framework provides a systematic approach to organisational planning for sustainability. A practical set of design criteria are used to direct social, environmental, and economic actions. It is fundamentally based on both an integrated assessment of current economic, social and ecological dynamics, and on the implications of present trends for human society. The approach was developed in the late 1980s in response to growing concerns about resource use practices and public health problems arising from increased toxins in the environment. Visit The Natural Step website. Browse through the Our Approach section and learn about The Four System Conditions. Click on one of the Current Projects, and peruse any project that you find of particular interest. Also view a 6:37 minute YouTube overview of the TNS framework and how it has been used by a number of businesses in Oregon in the United States. Having acquainted yourself with TNS and how it is being employed in businesses around the world (in the activities and content associated with this topic), discuss your thought with classmates. Are you convinced by this approach? What are its strengths and weaknesses, for example? Are there any cases that you found particularly compelling? Are there any that you found less convincing? Radical resource productivity The use of scarce resources more effectively so as to slow resource depletion (at one end of the chain) and lower pollution (at other end of chain). Biomimicry The redesign of industrial systems along biological lines. It requires changes to material inputs and processes so that there is constant re-use of materials in continuous closed cycles. It implies zero ‘waste’, and the elimination of toxicity. Service and flow economy A fundamental shift in the relationship between producer and consumer. Quality of service and flow is valued above the quantity and acquisition of goods. Financial benefits accrue to those who can link resource productivity with closed-loop cycles of material use. Investing in natural capital Investment in processes that sustain, restore or expand stocks of natural capital, so the biosphere can produce more abundant ecosystem services and natural resources. The essence of the Natural Capitalism book is encapsulated in Reading 4.2 by Lovins, Lovins and Hawken (Harvard Business Review, May-June 1999). The article is entitled ‘A Road map for Natural Capitalism’. After you have read the piece, share some of your reflections with classmates. What did you find especially compelling? Was there anything you particularly disagreed with? The main objective of this unit was to present you with the conceptual tools to analyse what actions are required if the sustainable development paradigm is to come to occupy mainstream thinking. To this end the concepts developed by Kuhn (1962) prove to be of assistance. It was also established that business, as the most powerful institution within the national and international political economies, is the vehicle most likely to bring about change. This will occur so long as a strategy of sustainable development presents business organisations with the incentive of competitive advantage. Examples of business approaches that might assist with the attainment of competitive advantage include the TNS framework, and the four central strategies of natural capitalism. Paradigm; paradigm shift; theory of scientific revolution; scientific community; normal science; puzzle-solving; positive feedback; TNS framework; the four central strategies of natural capitalism; radical resource productivity; biomimicry; service and flow economy; investment in natural capital. Hawken, P. (1993). The Ecology of Commerce: A Declaration of Sustainability. New York: Harper Collins Publishers. Hawken, P., Lovins, A. and Lovins, L.H. (1999). Natural Capitalism: Creating the Next Industrial Revolution. New York: Little, Brown and Company. World Business Council for Sustainable Development. (2001). The Business Case for Sustainable Development. WBCSD.